Golden Colorado is home to what has become one of the most recognisable survival knife brands; Spyderco. As with many great success stories though Spyderco began under much humbler circumstances. In 1976 Sal Glesser and his wife Gail began to sell it’s first product; a ‘portable hand’ which allowed jewellers and modellers to work tiny pieces more easily and accurately. This futuristic looking device with it’s many ‘legs’ was part of the inspiration for the eventual name of the company. The spider like appearance of the portable hand certainly inspired the name Spyderco, as did Sal’s realisation that many high performance cars were marketed with the ‘spyder’ name. By 1978 they had settled in Golden and had started to produce knife sharpeners and also their first folding knife. The tri-angle sharpmaker was invented around this time and has stood the test of time and is still produced and sold in great numbers today. Their first knife followed a few years later and Spyderco have since become known as one of the highest quality knife makers in the world not to mention as a company that produces a huge range of knives in a range of very high end and occasionally experimental steels. 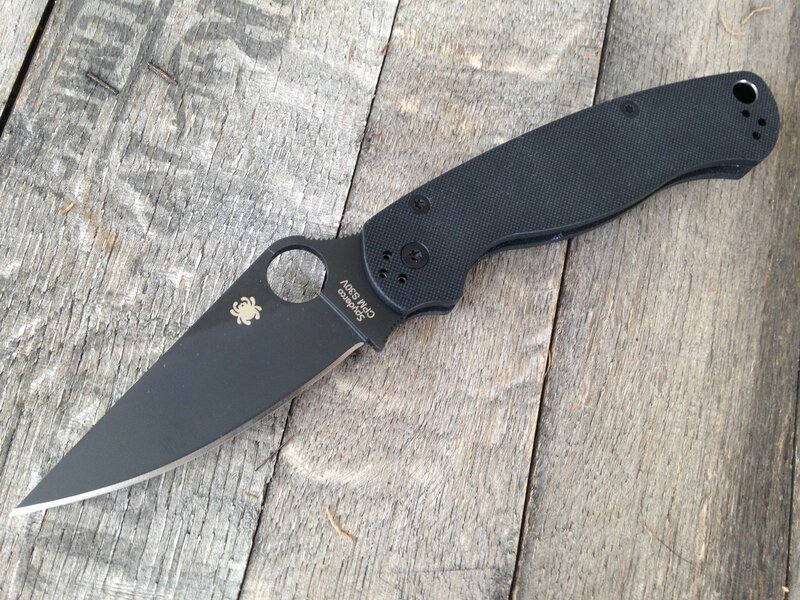 The round hole is now so synonymous with the Spyderco brand that it is often referred to as the ‘Spydie hole’. Pocket clips are now standard on so many folding knives that most people could not imagine purchasing a working knife without one. The rationale behind these round holes in the blade was as a one handed opening method rather than the common nail nick opening feature on most folding pocket knives of the time which always required two hands to use. 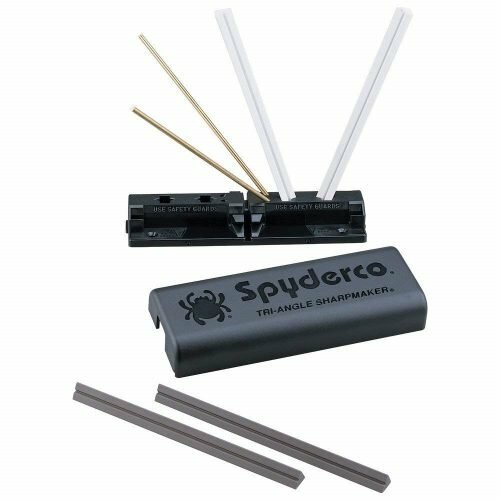 Many alternative opening methods are now available on other knives, disks, ‘wave’ features and studs are seen on almost all modern folding knives but Spyderco have always stuck to the round hole opening feature. In fact even on a few of their models where they have included a wave opening feature or on some of their fixed blade knives which clearly don’t need a one handed opening feature the ‘Spydie hole’ has still been included to distinguish the design as a Spyderco product. As well as the recognizable Spydie hole feature some have commented that some of the Spyderco designs are visually strange but they have always maintained a philosophy of building high quality knives that are suitable for hard use and are practical to use. The delica is just one of over 200 different models, including several which have been designed in collaboration with knife users in various countries to suit the specific legislation on knife use and carry of that nation. 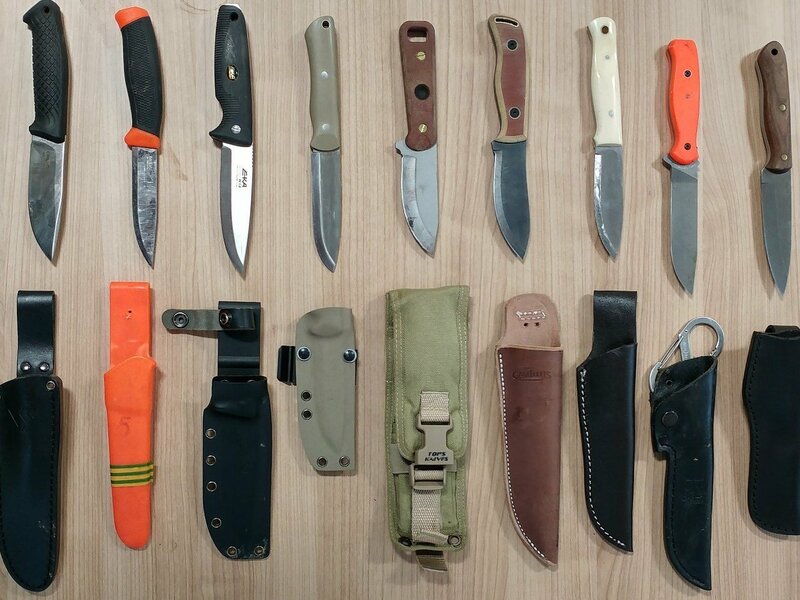 Some examples of these knives are the Spyderco UK penknife, the Pingo which was designed to meet Danish carry laws and the Roadie which was designed to meet TSA standard for a knife that could be carried on board a passenger aircraft when the idea of allowing pocket knives back on airliners was briefly flirted with. 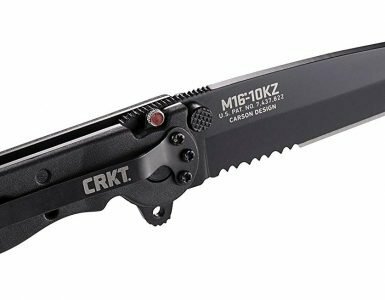 First designed in 1990 and featuring a 2.875 inch flat ground blade with a 13mm round hole the plain edge model is a great pocket knife for every situation. For specialists who might regularly need to cut rope the Delica is also available in part and fully serrated variations. The fully serrated blades, featuring a unique pattern of serrations known as ‘spyderedge’ have a saber grind instead of the full flat to provide more material behind the edge and add strength. Important in a working knife that might be used in wet, cold and slippery conditions is a secure grip, the FRN handle of the Delica provides this in the form of the multidirectional texturing. This special texturing provides a secure grip no matter what direction a load is applied to the knife whether you are pulling a serrated blade through wet ropes or using a plain edged model to open packages, push cut through cardboard or do some light weight whittling you will always have a secure grip with this handle. The steel of the Delica is VG-10 a high performance Japanese steel providing a great balance between edge retention and ease of sharpening. This choice of steel isn’t as ambitions or expensive as some of the really unusual steels that Spyderco sometimes use including ZDP-189 and the ground breaking H-1 steel which replaces nitrogen for carbon in it’s make up making it completely rust proof not just resistant like stainless steels, in fact Spyderco were the first of any knife manufacturer to use H-1 in a folding knife, their ‘Salt’ series. The Delica is available in ZDP-189 but the VG-10 of the standard model Delica 4 is the perfect middle ground for a working knife. As the Delica is such a popular model it has been produced with a range of options including multiple steel options, a wave feature for deployment against the edge of your pocket and a whole range of handle materials and designs. This is another reason that Spyderco are so popular, they produce a whole range of options to appeal to customers whatever their taste and requirements from a knife. 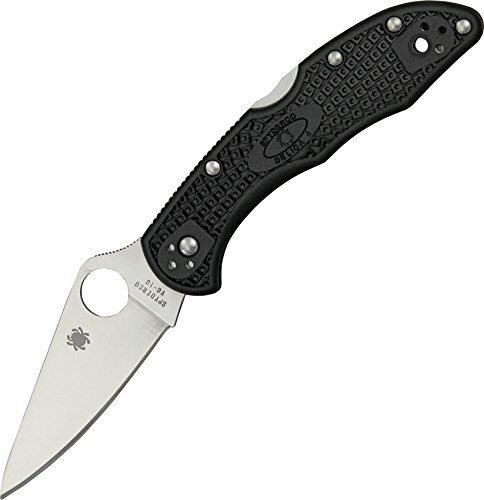 One thing that is always the same though it the overall quality and sound design of the Delica, for edc in urban areas and in the countryside a Delica 4 would be an excellent choice.